Microsoft has launched its new Surface lineup in India. Surface Book 2 and Surface laptop, first introduced in 2017, are the company's latest laptops that are now available in the country. The Surface Laptop is said to be a durable device that runs on the education-focused Windows 10 S operating system. The price of the Surface Book 2 in India starts at Rs. 1,37,999 and that of the Surface Laptop begins at Rs. 86,999. Meanwhile, the Surface Book 2 doubles up as a tablet and comes with up to Intel's eighth generation Core i7 processors and is claimed to be the "most powerful" Surface device yet. Microsoft claims the Surface Laptop - launched in May 2017 - is durable, portable, and lightweight, and the design looks sleek with a premium finish, and the iconic Alcantara fabric keyboard seen on the Surface Pro 4, with backlighting. The Surface Laptop sports a 13.5-inch PixelSense touchscreen display with 1080p resolution, 3:2 aspect ratio, and 3.4 million pixels. Microsoft touts it as the 'thinnest touchscreen LCD display' on a laptop. The company is touting the presence of "the most battery life in its class" in the Surface Laptop. Coming to the specifications, the Microsoft Surface Laptop comes in only one display size variant - 13.5-inch. There are five different variants of the Surface Laptop, in terms of processor, RAM, and display sizes. The configurations are - Intel Core i5, 128GB SSD, 8GB RAM, Intel HD Graphics 620; Intel Core i5, 256GB SSD, 8GB RAM, Intel HD Graphics 620; Intel Core i7, 256GB SSD, 8GB RAM, Intel Iris Plus Graphics 640; Intel Core i7, 512GB SSD, 16GB RAM, Intel Iris Plus Graphics 640; and Intel Core i7, 1TB SSD, 16GB RAM, Intel Iris Plus Graphics 640. As for the display, the Microsoft Surface Laptop sports a 13.5-inch PixelSense Display with 2256x1504 pixels (201 PPI) resolution. 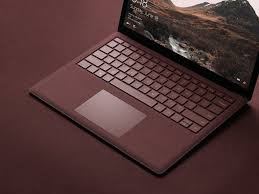 When it comes to the processor, the Surface Laptop models come with 7th generation Intel Core i5-7200U with HD 620 or 7th generation Intel Core i7-7660U with Iris Plus Graphics 640. Notably, all the variants of the Microsoft Surface Laptop support Wi-Fi 802.11a/b/g/n/ac and Bluetooth 4.0LE. Microsoft's Surface Book 2 - launched in October 2017 - packs the latest Intel dual-core or quad-core processors, Nvidia GeForce dedicated graphics, and promises up to 17 hours of battery life. 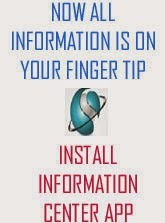 It is available in India in 13.5-inch and 15-inch variants. Microsoft claims that the Surface Book 2 has up to five times more graphics performance than the original Surface Book. The company says that users can dapple with mixed reality, or with artificial intelligence, or play immersive games, in the Surface Book 2. It is a hybrid laptop that is aimed at designers, developers, artists, and scientists, Microsoft claims. Coming to the specifications, the Microsoft Surface Book 2 comes in two display size variants - 13.5-inch and 15-inch. There are seven different variants of the Surface Book 2, in terms of processor, RAM, and display sizes. The configurations are - 13.5-inch, 256GB SSD, 8GB RAM, Intel Core i5 processor, and Intel UHD Graphics 620; 13.5-inch, 256GB SSD, 8GB RAM, Intel Core i7, Nvidia GeForce GTX 1050; 13.5-inch, 512GB SSD, 16GB RAM, Intel Core i7, Nvidia GeForce GTX 1050; 13.5-inch display, 1TB SSD, 16GB RAM, Intel Core i7, Nvidia GeForce GTX 1050; 15-inch display, 256GB SSD, 16GB RAM, Intel Core i7, Nvidia GeForce GTX 1060; 15.inch display, 512GB SSD, 16GB RAM, Intel Core i7, Nvidia GeForce GTX 1060; and 15-inch display, 1TB SSD, 16GB RAM, Intel Core i7, Nvidia GeForce GTX 1060. As for the display, the 13.5-inch PixelSense Display in Microsoft Surface Book 2 comes with a screen resolution of 3000x2000 pixels (267PPI) with an aspect ratio of 3:2. Meanwhile, the 15-inch PixelSense Display has a screen resolution of 3240x2160 pixels with an aspect ratio of 3:2. Microsoft is claiming 17-hours of battery life (on continuous video playback). The company says that the laptop is compatible with the next-generation Surface Pen and Surface Dial on-screen interaction.